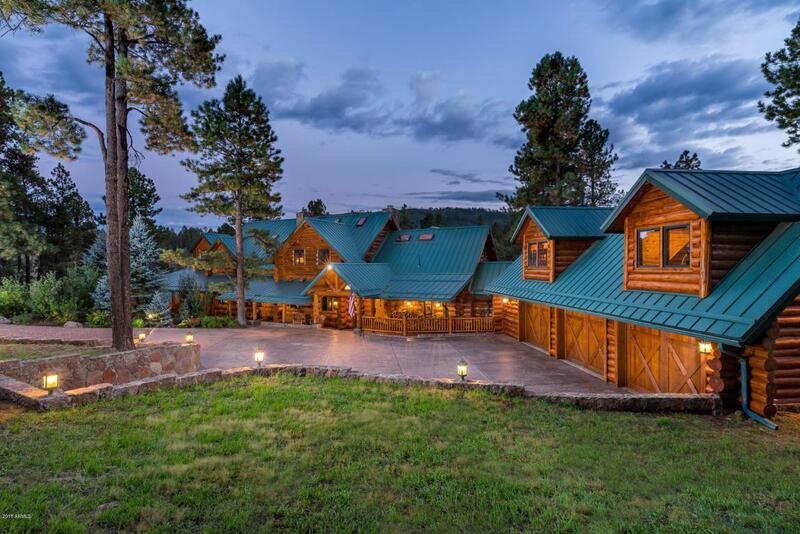 Perfect mountain getaway retreat, room to roam on 12+ acres. Enjoy the beauty and tranquility surrounded by forest service property on 3 sides. A horse lovers paradise. 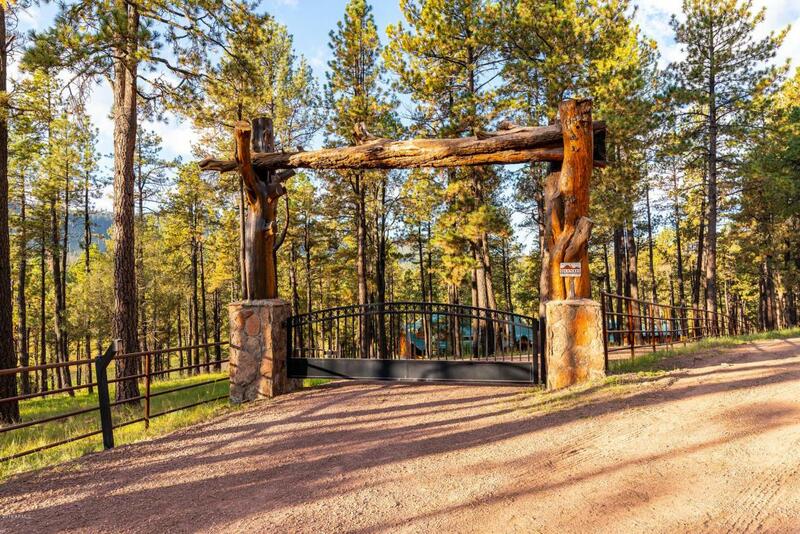 Gated entry leads to a magnificent log home with no expense spared. Interior is constructed of carefully crafted logs, wood ceilings, intricate details. Four bedrooms, all en suite, with two half baths for guests. Stunning kitchen features Stainless Steel appliances, granite counters and the works! Built in bar area will wow your guests. The stone covered wood burning fireplace in the family room is perfect for chilly nights. Panoramic views from everywhere in the house, exits from nearly every room. Main floor opens to a wrap around porch allowing guests to to fully take in the beauty that surrounds the home.